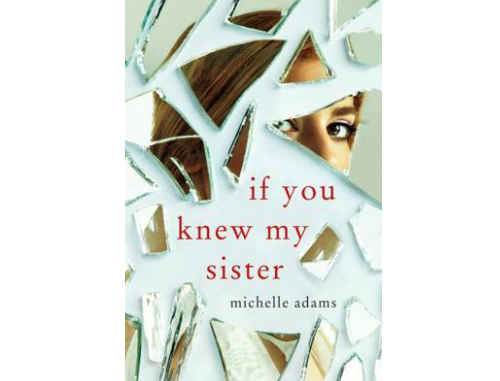 From debut author Michelle Adams comes a novel of psychological suspense, where a woman returns to her family's home to learn the truth and escape her sister's influence. First there was the Robert Kneel incident. Then what happened to Margot Wolfe. And now she’s found me again. Dr. Irini Harringford was given away by her parents just before her fourth birthday. Although she has spent her whole life trying to convince herself she doesn't need them, deep down Irini longs to understand why she was abandoned, while her parents kept her older sister, Elle. So when Elle gets in touch with news that their mother has died, Irini reluctantly agrees to return to the family home. But she is ill at ease. She and Elle are not close. Irini knows only too well what Elle is capable of. Inexplicably drawn to her enigmatic sister, yet terrified of the sway she holds, Irini tries to protect herself even as she is sucked back into her family's toxic web of secrets...and soon realizes that the past is more complicated than she imagined, and that her very future rests upon discovering the truth about why she was really given away.